This is a rectangular Old American Asphalt Shingles porcelain sign. This particular Old American Asphalt Shingles sign is yellow and black with red and black text. 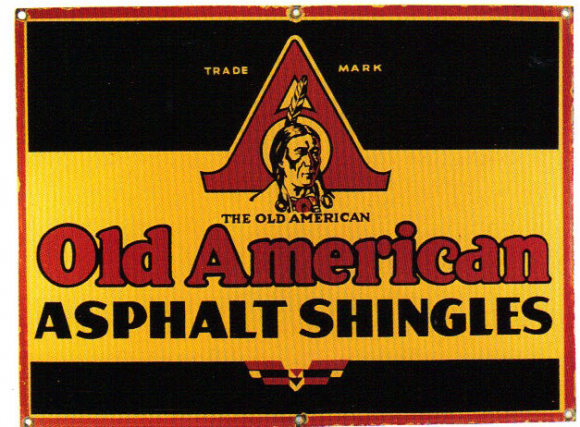 It reads, “The Old American, Old American Asphalt Shingles” and features a Native American man in the center.